2. Save Money On Shaving? Is Such a Thing Possible? 4. How to Get Rid of Shaving Irritation After Shaving? 5. Shaving Groin Area? Don’t Venture With a Safety Razor! 7. Safety Razor Cuts Skin Easily, Why? 11. Can You Use Canned Shaving Cream with a Safety Razor? 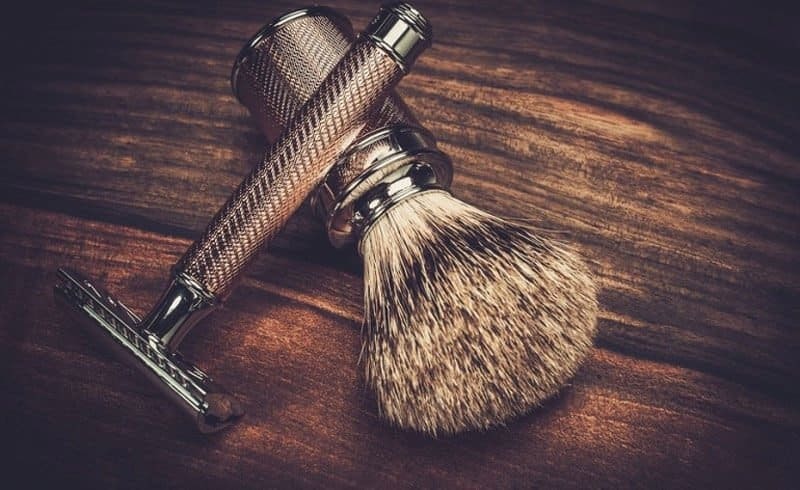 When it comes to deciding on whether or not you should take the plunge and buy a safety razor, there are a ton of things to consider and often many questions that men wonder about. From head types to aggressiveness levels, handle design and even weight of the handle – there is almost too much information to absorb! At the end of the day it is only a razor after all…right? Is a safety razor right for me? Will a safety razor prevent razor bumps? Will a safety razor prevent razor burn? Are they really cheaper to own than a disposable razor? You see the trend of double edge safety razors (or simply safety razors) have started to take off as of late. 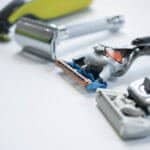 They provide an insanely close shave time after time, and their rock-bottom long term prices just simply beat any of the heavily marketed cartridge razors or subscription box services that exist out in the marketplace today as we discussed a bit more in-depth in our roundup of the best razors for men on the market today. Beyond the financial aspects they also deliver other great benefits, which we will get to in just a minute. When you are ready to purchase a safety razor (which you probably should given all the benefits), you should read our comprehensive guide to the best safety razors available. 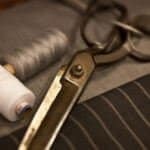 There we outline all the top brands and which one will be best suited for you no matter your experience level. It important to start off with defining what exactly causes razor burn. Razor burn is caused by skin irritation while shaving. When you shave your face, you always want to make sure that you go with the grain, not against it. When you shave with the grain, you prevent the possibility of razor burn, ingrown hairs, and general skin irritation. While a safety razor can help prevent razor burn, you can still prevent it even with just using a cartridge razor as well. To prevent razor burn, you need to have a clean AND sharp blade. This is where most cartridge razors fail when compared to a safety razor. 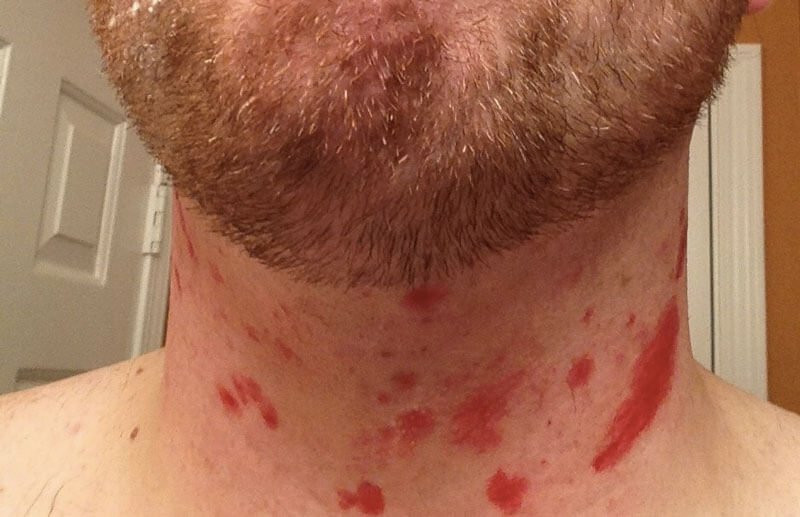 When using a cartridge razor, it is VERY susceptible to clogging. When clogged, bacteria will start to build up, then BOOM: razor burn. The other large component to razor burn is the sharpness of the blades. You see when you are using a high end cartridge razor you have 5 blades going across your face. If you don’t change it regularly, suddenly you have 5 dull blades packed with bacteria going across your face. Again – adds to razor burn. When comparing a safety razor vs cartridge razor, its a word of difference. With only 1 ridiculously sharp blade vs 5 meh blades, you not only gain on the bacteria front, but also on the number of blades going across your face. So while a safety razor may not ‘prevent razor burn’ it certainly helps reduce it based on the number of blades and also the sharpness of them when compared to what you might be currently using. When comparing a safety razor vs cartridge razor, there is no comparison. In fact, the annual rate of owning a cartridge razor is at $240 a year! When you compare that for a double edge safety razor the cost is a fraction of that. You’ll see the average price for a double edge safety razor is about $30 bucks give or take. But when you compare that too the double edge safety razor refills, they blow gillette (or any cartridge based manufacturer) out of the water completely. You see for a 100 count refill of the blades for a double edge razor, will cost about $13 bucks. So for the cartridge based blades you are paying about $3.75 per cartridge. 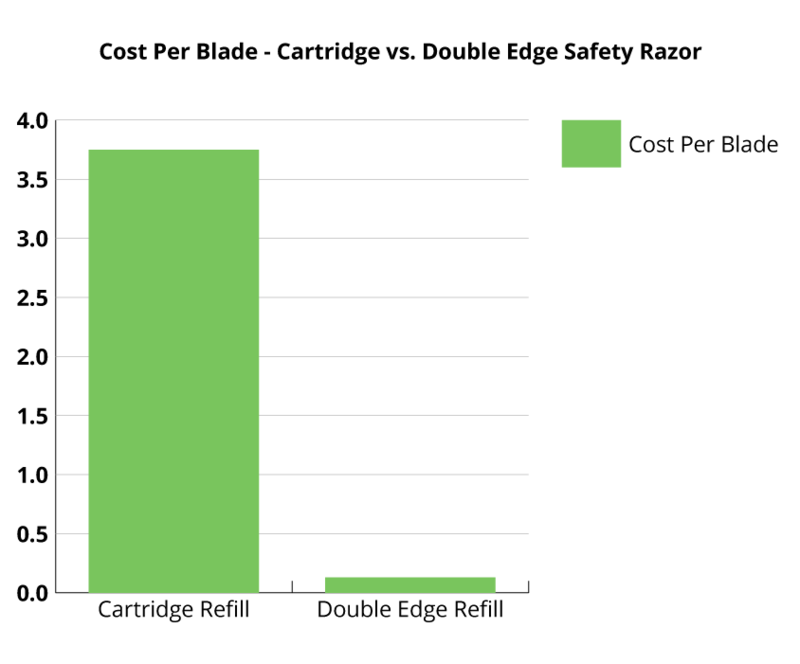 Whereas on the double edge safety razor refills, you are paying $.13 per blade. One of the primary reasons for acne is the excess of oil and dirt build up within your skin pores. Having acne can be tough to live with. However, a double edge safety razor can help you handle it a bit easier. When using a cartridge based razor you have up to 5 blades that are going over your skin. When you have those 5 blades going across your skin, they start to fill up your freshly face with your natural skin oils. Therefore it is possible to actually have more acne flareups by shaving more. So how does shaving with a safety razor possibly help with this? 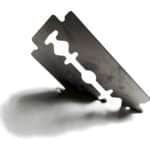 First off, being that it is one really sharp blade, you might only be going over your face at the most 2 maybe even 3 times. There you just cut out the number of times your pores are being tampered/irritated with. Secondly, without any sort of clogging on the blades, there is a whole lot less bacteria that is floating around on the blade, thus a whole lot less of a chance of filling said bacteria in your skin pores. So technically you might be able to reduce some risk of acne with your cartridge based razor, however in order to reduce that risk, it comes with the increased cost of purchasing more cartridges and changing them more frequently. Unless if you are experiencing any sort of acne or razor burn after shaving with a cartridge based razor, a double edge razor will not make a huge difference here. The largest factor of skin irritation (assuming no razor burn or acne) is going to be with the technique that you are shaving. It is important to remember that you MUST be a conformist when shaving your beard. By conformist I mean that you MUST shave with the grain. When you go against the grain, be it a double edge safety razor or a cartridge razor, you are literally tearing out the hairs on your face. With the tearing of the hairs, your skin is going to start to feel uncomfortable. I recommend that you take a look at your hairs prior to shaving. Even if you think you know your hair pattern from when you first learned to shave at 15, they may have actually changed! Here is a handy chart to use as guidance, granted your facial hair is of course unique to your face. I don’t care what the circumstance necessitates. Don’t ever use a double edge safety razor to shave your groin area. If you do you may have your first or even second circumcision. You see when it comes to using a double edge safety razor, its ALL about the angles. Pressure definitely plays a role as well, but more so the angles. If you approach your groin area at the wrong angle you could be leaving with some really nasty and more importantly painful nicks. While safety razor blades are a godsend because they are so sharp, this area isn’t exactly the best place to experiment with. You see with a cartridge razor, you can shave just about any where and never really worry about a knick at all. Sure you may get the occasional one here or there, but that is largely due to a dull blade or careless technique. If you decide to go below the waist, be sure to go with a cartridge razor if you know whats good for yourself. You could use a safety razor on your head, however you HAVE to be extremely careful. 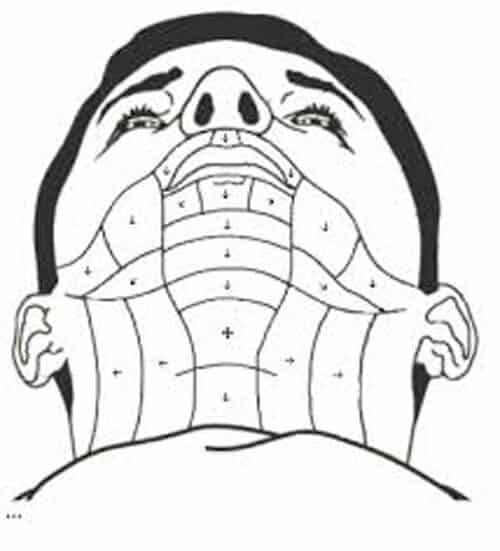 One of the toughest portions of wet shaving is to go around the chin area. You see since the chin has sharp curves and may have different contours (dimples) it gives it a bit more of a challenge than what you would typically expect if you were coming from a cartridge based background. Now with that that difficulty shaving your chin, expand it multiple times over and that is you trying to shave your head. Of course it can be done if your up for the challenge, but honestly I think to myself why risk it? This is the main reason why I still hold on to a cartridge based razor. Again, you can technically use a safety razor here, but I would advise against it. Cutting your skin is a very common problem for beginners handling the safety razor. You see when using a double edge safety razor, it is all about the technique. Of course before you start shaving at all with a safety razor, you are going to want to always make sure that you go WITH the grain. This helps prevent skin irritation, acne, and razor burn. So make sure you study how your hair comes in before you give it a go. This is critical to the success of your long term wet shaving. One of the best conveniences that you have with the safety razor is your flexibility with blades. You see when you go with a major cartridge based manufacture you are pigeon holed into using only their proprietary blades. With a safety razor, you as the consumer have the ultimate choice in using what works best for you. While blades by themselves are too bad ($13 bucks for ~ 100), some of them do work better depending on your face and skin. If its your first time trying out a safety razor, I would definitely recommend that you check out this sampler pack. 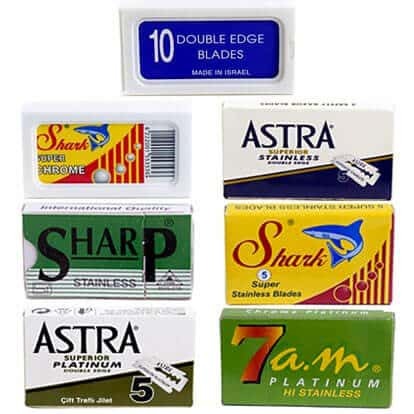 With a sampler pack like the one above not only do you get 100 blades, but you also get 7 manufacturers to try out. All of this is still cheaper than a refill of a cartridge razor. The angle that you use when giving the safety razor a whirl can either make or break your experience. Open the angle up too much and you will get nicked, and badly. Closing the angle too much and you will also get nicked. Therefore when using the blade you have to make sure you have the angle just right. 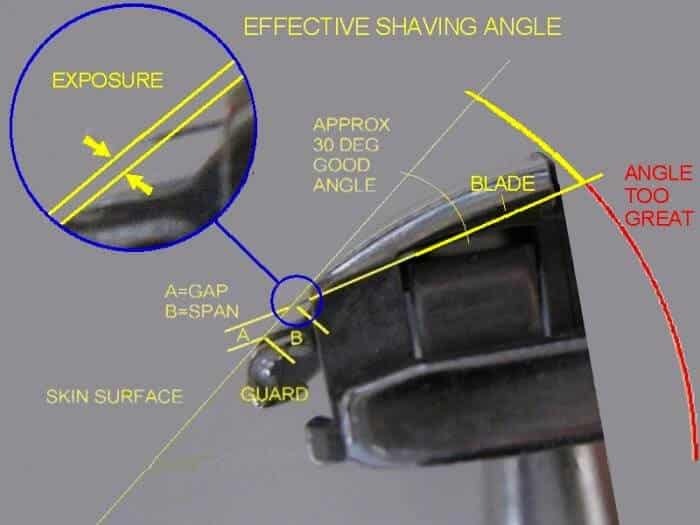 In fact the folks over at Badger and Blade have an awesome wiki page that goes over the proper angle of shaving with a safety razor (image credit above is from them as well). This is by and far one of the biggest drawbacks of the safety razor itself. Some people may try out a safety razor for one or two tries and then ditch the blade. So if your serious about it, definitely get past the learning curve and you will reap a ton of benefits. As you learned in reading this post, safety razors are CHEAP! Since they are weighing in at a hefty $.13 cents a blade compared to their $3.75 a blade counterpart (cartridge blade), you save a ton of money with them. After trying out a sampler pack, you can hop on to Amazon and fetch a 100 of them for only a fraction of the cost. In fact those 100 blades will last you well over a year. If you were to shave every day and get a new blade every week, you would be just 4 weeks shy of shaving for two years off of one box. The only added expense to your daily regimen would be the shaving cream. Unfortunately with the events that unfolded on 9/11 all travel within the United States prohibits razor blades to be carried on the plane. Therefore if you are a jet-setting business person, or just someone that loves to travel, you have to check your razor before you head off to your destination. Cartridge razors are still ok for all air travel. Sure you can, but why would you? You see canned shaving cream – also known by the double edge pros as ‘canned goo’. Is a medium of which you can use with your safety razor. However, if you want the very best and closest shave you are going to want to get a custom shaving cream that works out well for you. 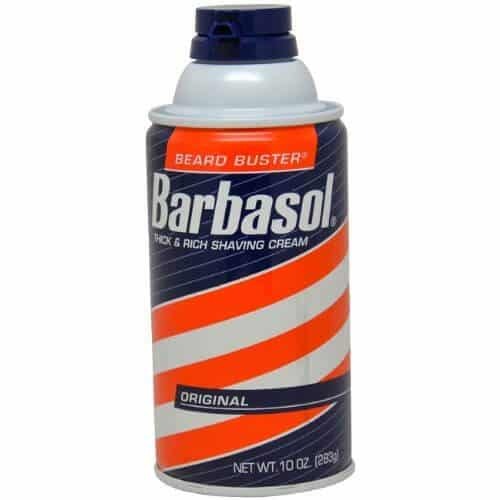 In fact, a good starter shaving cream would be something along the lines of sandalwood shaving cream. It’s a good starter cream if your deep diving into the whole wet shaving world. Of course shaving creams can definitely differ depending on your personal tastes, so I would recommend to keep an open mind and try out a new one every time you run out of the existing one. There you have it, pros and cons of owning your very own safety razor. As you can see the world of wet shaving has its good parts and bad parts. Mainly the cost savings and the reduction of razor burn, acne and general skin irritation vastly outweigh the cons of the battle scars you obtain along the way (don’t worry they won’t be scars). Interested in picking up your own double edge safety razor? Then you should check out the industry standard Merkur version. If you do have any questions about safety razors, please feel free to drop a line in the comment section below. Will be more than happy to help you out!